I love a good challenge. I'm not great at sticking with them. I think the first time I ever completed a whole challenge is when I did the Whole30 in January! Other than that I kind of run out of steam before the challenge is over. At any rate, I decided to see what kind of challenges people were hosting in March. Here are some of the ones I've found. They range from reading to fitness to getting your house clean. I think I'll attempt a couple and see how it goes. 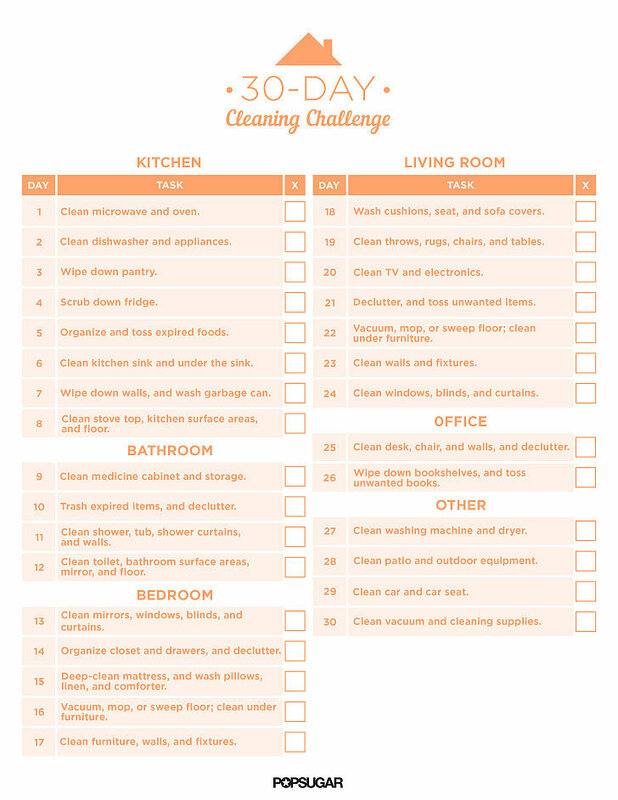 The two cleaning challenges look interesting and it would be nice to finally have a system in place so that my house will always be in order! Sally from Sally's Baking Addiction hosts a baking challenge. Looks like March will be her second baking challenge and she's come up with something yummy! The Challenge will be posted March 1st at 12:00 a.m. EST. If you're up for a baking challenge it's a one-time challenge. This one is not a month long challenge, but you have the month to get on board and bake. Take Control TBR Challenge. From what I understand it's to help you get caught up on your To Be Read pile of books. Looks like a fun challenge if you're a Read-y McReaderson. I have lots of books that need to be read, but I don't have the time for that right now! It should be fun for those of you who have books that need to be read and enjoy socializing with like-minded people. Itching to write a Screenplay or Script? There is actually a challenge for that! You can do the Zero Draft Thirty 2017 Spring Challenge. There ya' go! All you photobugs out there can join the photo-a-day challenge hosted by Gabriella Burchard Photography. 30 Day Photo Challenge from Cardigan Jezebel. Prompts for each day. 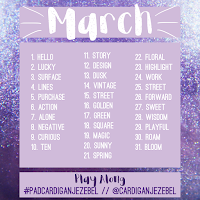 Post your photos to Twitter, Instagram, Facebook, etc with the hashtag #PADCARDIGANJEZEBEL @CardiganJezebel Click on the image to be taken to her website for the larger version. Want more Photo-A-Day Challenges? Check out these, too. The 30 Day Yoga Challenge at DoYouYoga. It's not technically a March challenge. Looks like you can do it any time. I'm gonna give it a go. It will coincide with our next Whole30 and I love yoga. There is a printable Jumping Through March Fitness Challenge at the Keeping Kids in Motion blog. Looks like it's for kids, since the author is a PE teacher. Bet adults could use it as a guide too, though. I'm doing this one because you gotta love a person who calls herself a weirdo. I'm in! I've already followed her on Instagram. It's more of a "do-what-you-want as long as you do something and we'll all cheer each other on challenge." Nothing specific here, but she does give ideas at the end of the post. 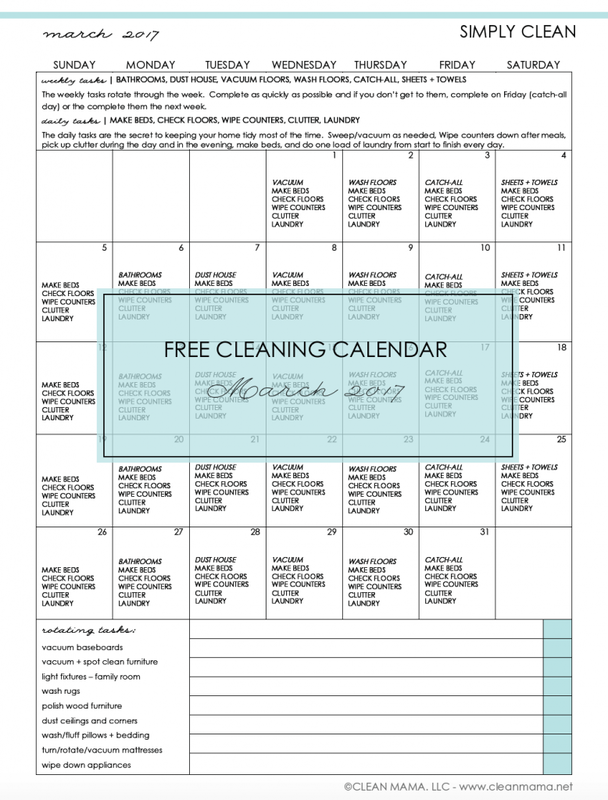 Although not technically a March "challenge", Clean Mama has a printable March cleaning calendar to help you get your house in order and you can join her Facebook group and "hang out" with other people who are using the cleaning calendar. You have to go through a check-out process to get your printablee, but it's free. 40 Bags in Forty Days. I did this one a couple years ago and learned so much about myself. 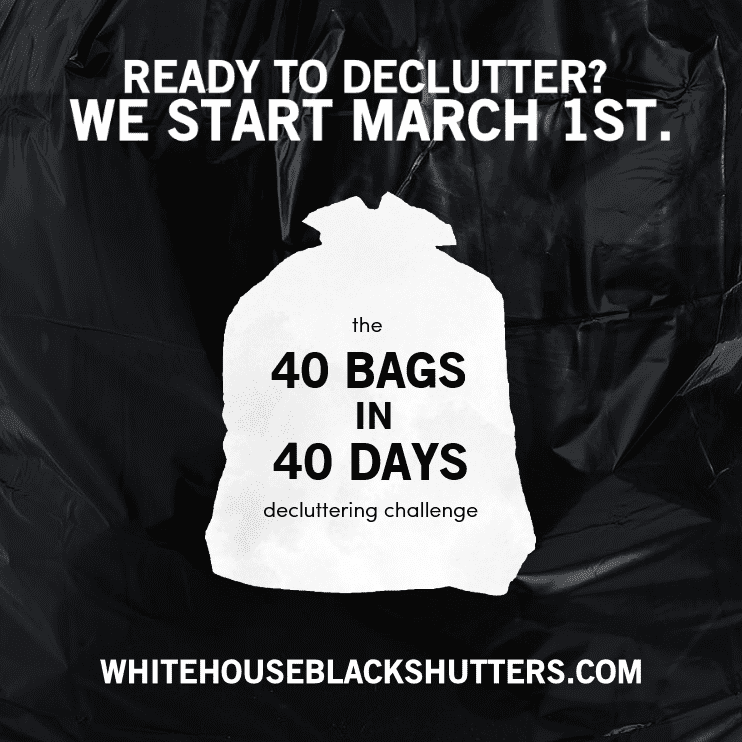 Although I didn't do it all in 40 days, I definitely got rid of 40 bags worth of stuff. It was wonderful. I realized through the whole process how much money I've wasted in my life on things that just sit in my house and that I don't end up using. It was very enlightening. This challenge has a printable that you can print out and has things like "clean microwave" and "clean walls and fixtures (in the living room)." Looks like the month is broken down by room and you work on one room at a time. The tasks are only supposed to take around 20 minutes each day. I will probably print this one out, too. Looks interesting! Click on the image below to be taken to the site. Popsugar also has other challenges that you can find HERE. 30 Days to Clean by Find Your Zenergy. This one looks like it happens in a Facebook Group. I've signed up and we'll see how it goes! Begins March 1st. Click on the image below to be taken to the Facebook link to be added to the group. 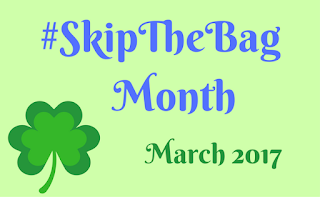 Take the Skip the Bag Challenge. I know this is one I definitely need to work on. I almost always reuse our plastic bags in one way or another, but I have so many right at this moment that I don't think I could re-use them all. It might be a good month to make a conscious effort to always take my re-usable bags with me to the grocery stores. There's a giveaway going on with this one too!